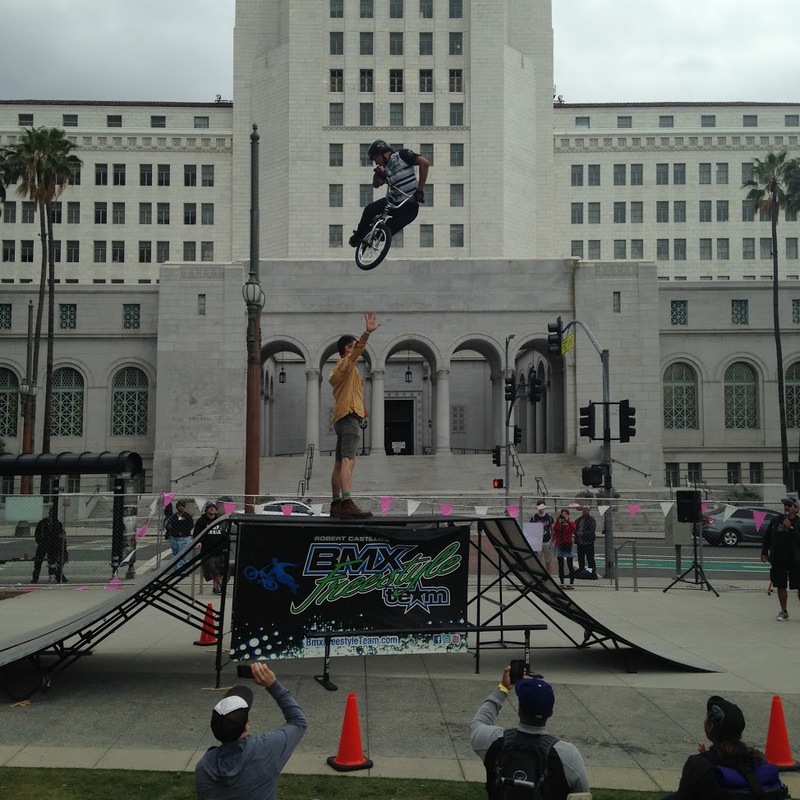 One day after Long Beach had their Bike Fest, it was Los Angeles’ turn. Missing the backing of an organization similar to Downtown Long Beach, the Bicycle Culture Institute, led by powerhouse Nona Varnado, mustered the volunteers and resources to put on a bicycle-themed party worthy of Los Angeles’ legendary bike culture. The overcast skies and scheduling quirk may have kept the crowd in the hundreds instead of thousands, but the crowd of cyclists had plenty to do, with events varying from creating yarn art on bike spokes to BMX demonstrations. After the jump are a handful of pictures via social media from Los Angeles Bike Fest, feel free to add links to your media from yesterday or Saturday and we’ll highlight them on Streetsblog LITE.